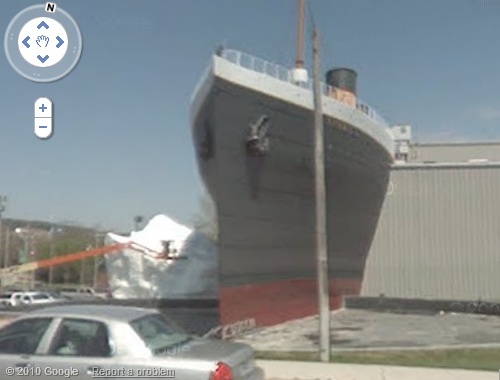 The Titanic Museum at Branson, Missouri is a permanent two story museum shaped like the RMS Titanic itself. 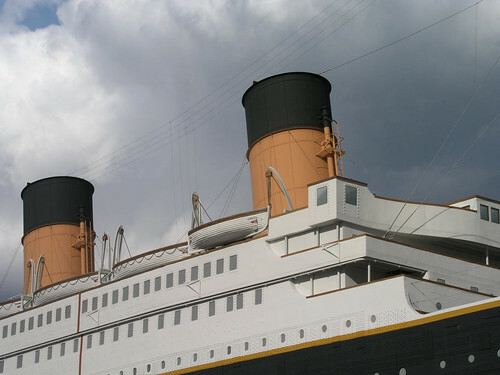 The building is a 1:2 (50%) scaled replica of the front half portion of the ship complete with the Grand Staircase, the Dinning Hall, First/Third Class cabins etc. and holds 400 artifacts from the wreck of the ship. It also has interactive exhibits such as a touchable iceberg, Bridge Area and Telegraph Room from where one can send SOS message. The ship is surrounded by water to give an illusion of the sea. At the entrance, the visitors are issued a boarding card with name of actual passenger of the ship. Finally at the end of the trip, in the Memorial room, they come to know the fate of the passenger whose name is on the boarding card whether he/she was lucky enough to survive or was one of the unlucky one who died in the icy water on April 14/15, 1912. The museum opened in 2006 is reportedly largest of its kind the World. Image from Flickr is by rachel a. k.
I am quite honored by having 2 of my photos displayed on your site, even though I do have 2 different names. Thank you, and I'm glad you like them. 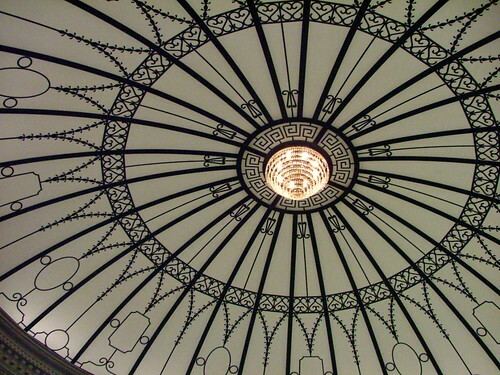 The ceiling photo above was my very first photo with 10,000 views. The Grand Staircase is an amazing reproduction, and photos just cannot do it justice. Thank you again, CuriousJM. I am honored. 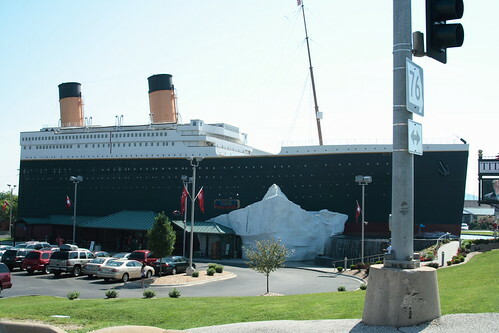 The Branson Titanic Museum is one of the most recognizable buildings in town and one of the most unique attractions as well. If you're ever passing through or vacationing here, it's definitely worth checking out!